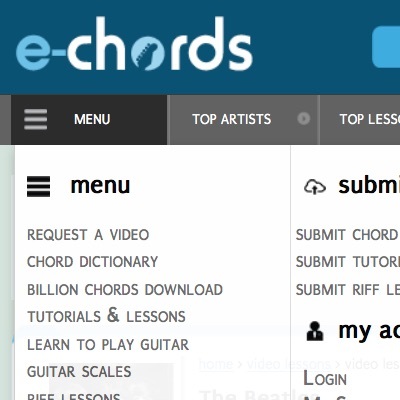 This page shows how you can import songs to MySongbook from e-chords.com. This video shows a Mac, but Windows PC would be very similar. Find the song on e-Chords.com that you want to import. Download the “text” of the song. Convert the text “positional formatted” song to the MySongbook (modified ChordPro) format using http://ukegeeks.com/tools/. Clean up the format to match what is required by MySongbook. See below.